Ranada Robinson | HOPE Global Forums | Presented by Operation HOPE, Inc.
Ranada is currently the Research Manager at Market Street Services, a holistic economic development consulting firm that has worked in 34 states and over 160 communities that focuses on helping communities develop plans for building wealth for all of its residents. Ranada has worked in many communities throughout the nation, but she is proudest of serving as lead researcher on the team facilitating a strategy process in Jackson, Mississippi, her home town. In addition to two undergraduate degrees from Tougaloo College and two Master’s degrees from Georgia State University, she has completed the International Economic Development Council (IEDC) Basic Economic Development Course at Georgia Tech, and she has received certification from Economic Modeling Specialists International (EMSI). In 2015, she was selected as a Vanguard Fellow by Next City and worked with fellow urban leaders from all over the nation to brainstorm solutions for urban issues in Reno, Nevada that are currently being implemented. In 2017, Ranada completed the New Leaders Council Institute in Atlanta. As an alumna, she is now working with her cohort and other NLC leaders to make a difference in the community. Ranada is the Immediate Past President of The Twenty Pearls Foundation, Inc. and Tau Epsilon Omega Chapter of Alpha Kappa Alpha Sorority, Inc. During her tenure, the Foundation gave over $55,000 in scholarships to graduating high school students in South Fulton County, Georgia and invested over $40,000 annually in implementing programs in East Point and College Park and supporting other organizations. Ranada led this rapidly growing group of nearly 300 women, ensuring that both organizations impacted the community externally, through hands-on volunteer work focused on youth, elderly, and families, as well as each other internally, by fostering sisterhood among its members. In 2015, Ranada was selected to serve as the Service Projects Liaison for the sorority’s biennial international conference, which took place in Atlanta in July 2016. In this role, Ranada oversaw the planning and execution of 23 Moments of Service, including securing and overseeing AKA’s first KaBOOM! playground build at the Tracey Wyatt Recreation Complex in College Park. Other moments of service during the conference included the donation of 5,000 bookbags to metro Atlanta organizations, the donation of over 40,000 pillowcase dresses to African countries, and a mental health awareness candlelight vigil in conjunction with the National Alliance on Mental Illness (NAMI). In addition to her community efforts with her sorority, she serves as the Treasurer for the Stoney Pointe Homeowners’ Association’s first homeowner-led Board of Directors as well as the Southeastern Regional Representative for the Tougaloo College National Alumni Association. 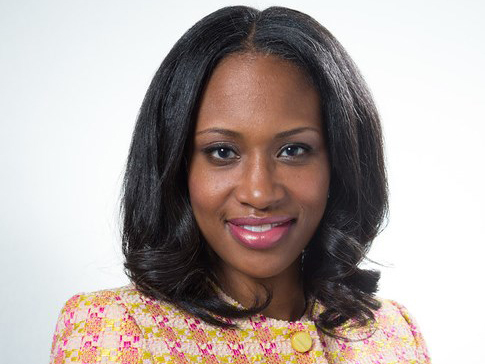 In 2016, she was inducted into the Tougaloo College Inaugural Class of 40 Under 40 for her career achievements as well as her alumni leadership. Ranada has been a participant of HOPE Global Forums since 2016 and is an enthusiastic supporter of Operation HOPE’s goals and objectives.